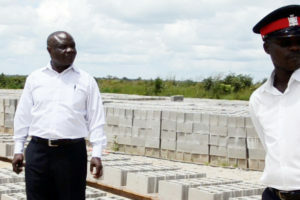 ‘SUSTAINABLE road maintenance, improved life span of a motor vehicle, reduced maintenance cost of motor vehicles, improved traffic flow, and promotion of trade,” these are some of the benefits accruing from toll gates collections, according to Minister of Housing and Infrastructure Development Ronald Chitotela.The minister in an interview said that Zambia has 12 fully functioning inland toll gates which together with weigh bridges and other border revenue collection points, rake in government revenue of about K70million (US$7million) per month countrywide. This means that the Zambian installed tolling system raises K840million, equivalent of US$84million, annually. This system of levying motorists using toll gates is an old one in most parts of the world even in the regional countries such as South Africa, but obviously it is a new phenomenon in Zambia, hence the controversy and apprehension it has caused. In simpler terms, a toll road, also known as a turnpike or tollway, is a public or private road for which a fee (or toll) is assessed and paid for passage. It is a form of road pricing typically implemented to help recoup the cost of road construction and maintenance by respective Governments. Toll roads have existed in some form since antiquity, with tolls levied on passing travellers even those on foot, wagon or horseback. But the prominence of toll gates increased with the rise of the automobile, and many modern tollways charge fees for motor vehicles exclusively. The amount of the toll usually varies by vehicle type, weight, or number of axles (a control shaft for a rotating wheel or gear); with freight trucks often charged higher rates than cars. 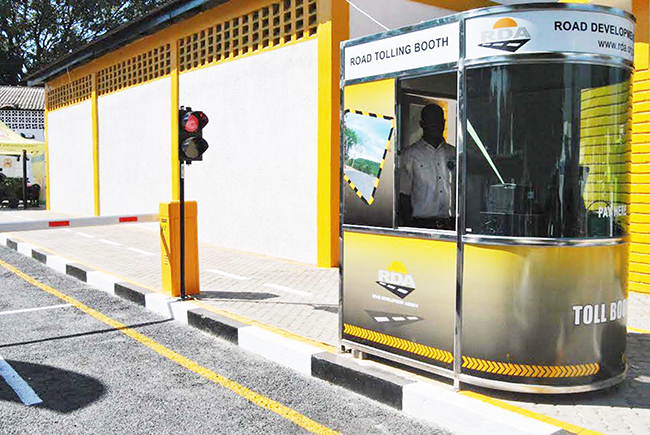 Public criticisms of toll gates include the time taken to stop and pay the toll, and the cost of the toll booth operators-up to about one third of revenue in some cases and of course the queries on how accountable Government is with the money. Nevertheless, Mr Chitotela acknowledges the controversy the tolling system has brought about and that Government is not surprised because new programmes take time to be appreciated in most cases. “The challenge of public life is that there will always be those who will criticise, even where it is white, they choose to say ‘it’s black’, but we will not be distracted but remain focused and do that which is good for the people of our country because we believe that Zambia is our heritage,” the minister said. In further outlining the benefits of toll gates, Mr Chitotela underpinned that a good road network is fundamental for any economic growth and that infrastructure development is a pre-cursor for any growth in the economy. “The road network improves trade, it improves mobility of the people, where people are supposed to spend three hours [travelling] they spend 30 minutes, and it reduces the cost of doing business, so in the long run, it empowers the citizens, people will have enough disposable income,” Mr Chitotela said as he appealed to road users to continue co-operating with the Government as it ensured more road construction and maintenance. The controversy has mainly been on the utilisation of the revenue being realised from the toll gates, with some arguing that a number of roads have so many pot holes without receiving much desired maintenance. To the contrary, Mr Chitotela says the money Government collects from the toll gates is ploughed back in the road sector, and re-invested into road maintenance and construction, going by the many road construction projects in most parts of the country. “You will agree with me that previously some road projects had stalled, but through enhanced toll collection and government contribution coupled with donor financing and our co-operating partners, we have seen a number of activities and it is our policy that all monies from the tolls are ploughed back into the road sector,” the minister said. From the time the toll collection was enhanced, Mr Chitotela says, there has been improved activity in the road sector and that going forward, Government wants to come up with a long term road maintenance strategy. He said this road maintenance strategy, which would be based on a three to four years contract, would be advertised. For instance, in Lusaka, two or three companies could be awarded a tender for long term road maintenance so that wherever a pot hole is appearing it could quickly be closed “so that our people continue to enjoy the benefits of paying toll fees”. According to Mr Chitotela, the tolling programme has been a success story in Zambia and that Government would not let the people down. He explained that immediately the money was collected from respective toll gates, it was deposited into Control 99, as a standing instruction to the National Road Fund Agency (NRFA), an institution mandated to collect tolls on behalf of the central Government. “As you may be aware, NRFA is an agency appointed as a lead toll inland collector and, of course, RTSA [Road Transport and Safety Agency] has been appointed also to collect on behalf of RDA [Road Development Agency] on the borders, while RDA retains the mandate to collect from all weigh bridges,” the minister said. 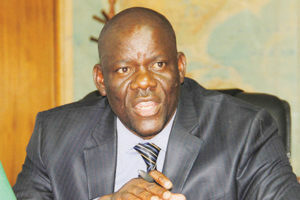 He also clarified that once the money is collected, it has to be deposited into Control 99 within 48 hours for prudent utilisation and purposes of accountability and that the Ministry of Finance transfers the money into an account domiciled at the Bank of Zambia after reconciliation with RDA and sister agencies such as RTSA and NRFA. “Immediately RDA and NFRA sit down to pay contractors who are doing road construction, maintenance and rehabilitation but of course Zambians are able to see what is happening and that is a public fund, it has to be audited and I think the audit report will for the first time show that there is prudent utilisation of the funds,” Mr Chitotela said. So far, apart from the 12 operational toll grates across the country, the minister said eight more tolling sites were under construction in different parts and had reached various stages of construction. These eight toll gates are hoped to be completed by the close of 2018 to reach the total inland tolling gates of 20. The minister said the cost profile of the toll gates is different because each has a different structural design but the average cost is between K1million and K30million per toll gate, the investment which was recovered within the first quarter of every activity. “That which binds us together is greater than that which divides us. 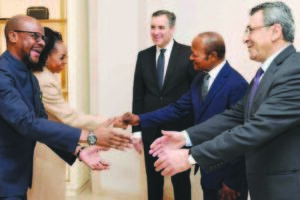 Whether we agree or not, we are Zambians and we should do that which is in the interest of our people and for the good of the future generations,” Mr Chitotela said.